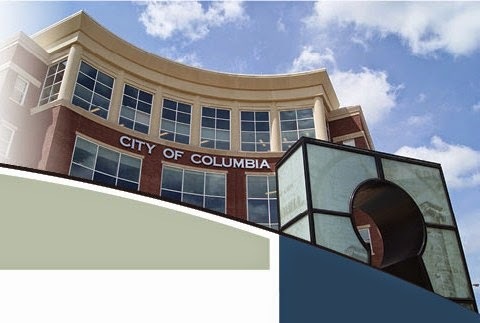 COLUMBIA, Mo 02/4/15 (Beat Byte) -- Columbia City Hall's accumulated surplus taxes, fines, fees, grants, and other monies -- aka "Unrestricted Fund Balances" -- soared in the last year, up over $13 million according to the city's Comprehensive Annual Financial Report for 2014. City government's private accounting auditors, Kansas City-based McGladrey made the surprise announcement on page 9. The report was quietly released Jan. 31. Even after restating the 2013 figure -- from $144 million to $139 million -- to make the report more compliant with Government Accounting Standards Board (GASB) requirements, the city came out nearly 10% ahead. The new figure -- $152,201,102 -- represents what Mayor Bob McDavid has jokingly called a "slush fund": money unrestricted for any purpose whatsoever, completely free for the Columbia City Council to spend -- or save -- as it sees fit. Political pressure is intense to keep the money away from the public. Held in dozens of numbered cash accounts by local banks and in other liquid investment vehicles, it can be loaned to developers and the other prominent business types who set city government's agenda through such organizations as the Columbia Chamber of Commerce and REDI. That agenda has included using Unrestricted Funds to buy "shovel-ready" development land and the old Ameren site downtown. The rising cash wad has proven increasingly controversial, partly blamed for two 2014 voter defeats: a property tax hike to pay for more police and firefighters; and a development fee increase. Since 2010 alone -- roughly the time city manager Mike Matthes took office -- the Unrestricted Fund balance has risen a whopping 33%, from $114 million to the current $152 million. As this publication has previously reported, City Hall divides its Unrestricted Funds across several accounts, including the Water and Light Utility; the Sanitary Sewer Utility; and the General Fund that pays firefighters, police, and other core city service personnel. At the same time, city officials continually "cry poverty," raising utiility rates and city fees every year and forcing an endless stream of demands -- from bond debt to higher taxes -- on area voters. City Hall's net worth, which includes roads, streets, land, buildings, and restricted funds such as retirement accounts, also rose: over $30 million from 2013-14, to $929 million.